5.1 Earthquake hits northern Peru. Tropical Storm Vance is located about 550 mi…885 km SSW of Acapulco Mexico with maximum sustained winds…40 mph…65 km/h. Present movement…W or 265 degrees at 7 mph…11 km/h. Tropical storm 20w (Nuri), located approximately 358 nm northwest of Yap, and is tracking west-northwestward at 06 knots. Somalia – After a poor rainy season early this year, parts of southern Somalia now are being hit with severe floods. The rainy season that began in October has caused flooding along the Shebelle and Juba Rivers. The U.N. Food and Agriculture Organization warns that’s making ongoing food insecurity even worse. The U.N. estimates more than one-million people in Somalia are in urgent need of assistance – a 20-percent increase in the past six months. What’s more, it says another two-million people are facing threats to their food security. Much of Somalia’s farming takes place along the Shabelle and Juba Rivers. Along the Shabelle, the town of Belet Weyne is the worst hit. Along the Juba, flooding is reported in Dollow, Jilib and Jamame. The largest group of sunspots seen in nearly a quarter-century sent a barrage of solar flares into space, three of which were among some of the most powerful that the sun can create. Solar flares are gigantic explosions on the surface of the sun, which send streams of dangerous charged particles rushing into space. If Earth happens to be in the path of the blasts, the resulting geomagnetic storms can knock out satellite electronics, disrupt high-frequency communications and even bring down power grids. Such storms also produce vivid aurora displays. The only significant effects on Earth from the latest blasts by the AR 12192 sunspot were radio blackouts at some frequencies. This is mainly because the solar eruptions did not send out blasts of plasma, known as coronal mass ejections. 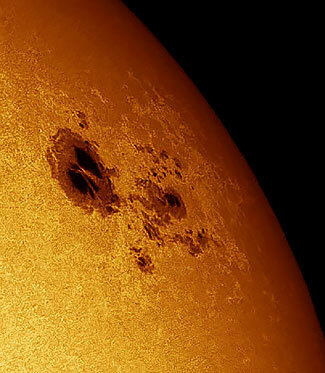 The largest sunspot in history was observed in 1947 and grew to be three times larger than the one currently producing the swarm of flares. Many skywatchers who were taking photos of the partial solar eclipse across North America during the previous week managed to capture images of the massive sunspot as well. On 12 and 23 October 2014, WHO was notified by the National IHR Focal Point of Qatar of 2 cases of Middle East respiratory syndrome coronavirus (MERS-CoV). These are the first cases reported to WHO by Qatar in 2014.